Can Creatine Help Pass A Urine Drug Test? Using creatine supplements and pills to pass a weed test is a internet myth that will be discussed fully in this article. Will it work? The Ultimate Creatine Drug Test Guide For 2019 below! Unless you’re a body builder, personal trainer, or have studied biology, chances are you most likely do not know much about using creatine. Rumor has it that this naturally occurring organic acid that is found in the human body can be used to pass a drug screening test. Creatine is readily available at any drug store, vitamin or health store, and online. The substance is not illegal, but can taking creatine powder really help you pass a drug test for marijuana? 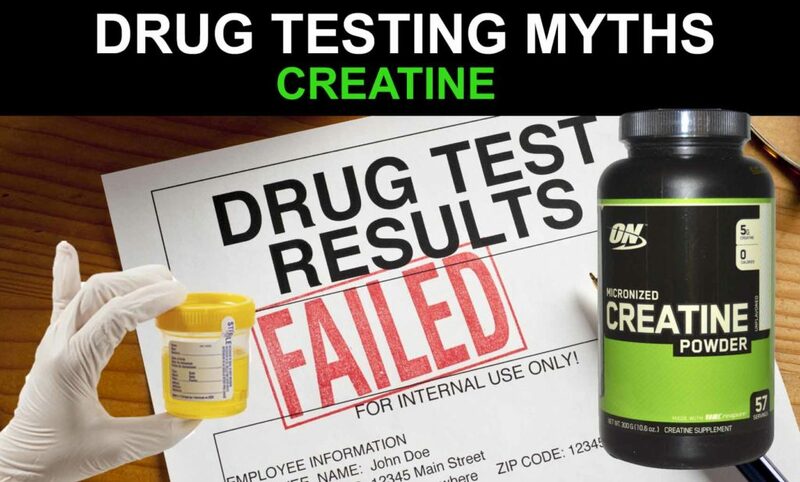 Why do people think creatine will create a negative drug test result? In a urine test, the amount of drug metabolites for any given drug is closely measured. For marijuana the allowable cutoff for metabolites in urine is typically 50ng/ml. Along time ago that is all you had to do. You could chug gallons of water and pee clean without worries. Drug tests have become much more advanced and can easily detect / flag urine samples that are too diluted or watered down. Today drug test also test for and measure creatinine. This is a naturally occurring substance that comes form our diet. If the levels of creatinine are not close to normal levels, the test administrator will know that you drank excessive amounts of water to trick or dilute the urine sample. This leads to an automatic failure. So Why Take Creatine To Pass? Creatine, over the course of 24 – 36 hours, metabolizes into creatinine. You can overload your body with creatine for the days leading up to your test so you can consume tons of water without triggering a failure for a diluted urine sample. So basically creatine does not flush out THC, it makes your urine look normal even though it is highly diluted. There’s a lot more to dilution then stated here, so do your research if you are planning on cheating a test. If you have 7 days before your test we highly recommend using our Detox Pills and not relying on the Creatine Method to pass. 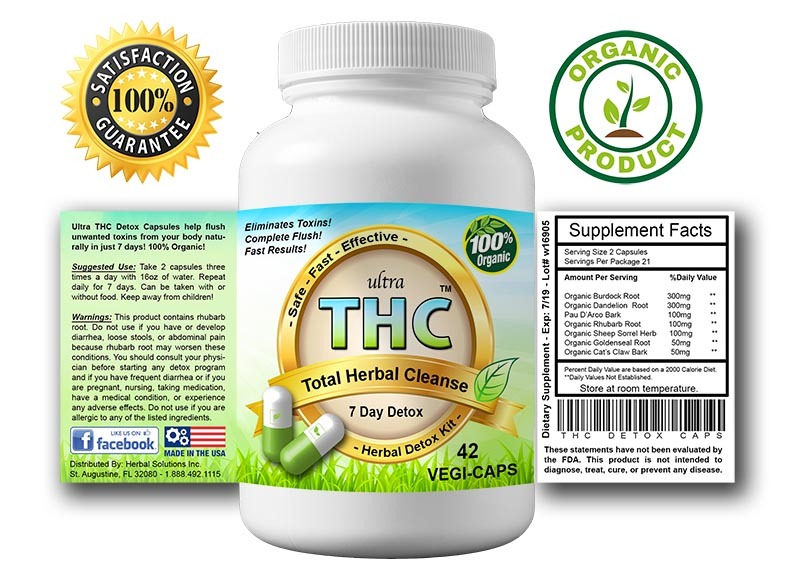 Our product Ultra THC Detox™ was specifically developed to flush all THC toxins out in only one week. Fact vs. Fiction – Will Creatine Work To Pass? The facts of creatine, as it pertains to passing a drug test are varied. It is true that creatine can make your urine seem not super diluted, however, for those who do drugs regularly and frequently, it is highly improbable that taking creatine supplements before a drug test will actually work in your favor. Lab tests in 2019 are extremely advanced and test for other factors besides dilution. If your creatine levels are sky high, but the test result came back as negative for drugs, the test administrator can classify your test results as “inconclusive” which is just as bad as failing. 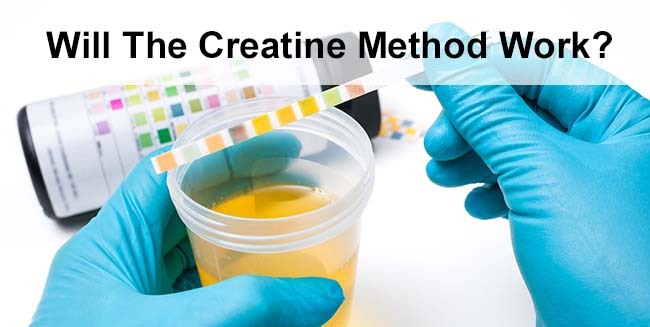 In order for the creatinine levels to be considered normal in you urine, a great amount of creatine would need to be taken 48 hours prior to the test. Samples with creatinine levels below 20 mg/dL are not acceptable and reported as diluted, invalid, or substituted depending on the creatinine levels when compared to the urine density (specific gravity). Many times, especially for employment, you will only be given a 24-hour window of time before needing to pass a drug screening. Employers do this purposefully to reduce the amount of time a candidate for employment has to try to fool the test or test administrator. 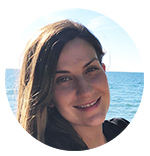 Because every person’s body metabolizes at different rates, it is also nearly impossible to know exactly how much of the creatine supplement you would need to take in order to skew the results in your favor. Occupational health centers and laboratories are not clueless when it comes to ways people try fake or pass a drug screen. The test administrator has multiple ways of testing for dilution and testing creatine levels specifically is one technique they use for measuring diluted urine. They will mention in the test results that the urine is suspected as being diluted and report these findings to your potential employer, probation officer, or any other authority that is mandating you to take a drug test. Although you can tell the testing center that you take creatine for athletic reasons, if your levels are highly abnormal, this excuse will most likely not be taken seriously. This is because they are aware that taking creatine is a popular tick used to cheat the test. Sometimes, when results are found to be inconclusive, you will be given an option to test again but by then, the damage is already done. Ultimately, using creatine to pass is risky method that makes watered down urine appear normal. It will not work alone to pass but when combined with other detox methods it could prove to be somewhat effective. 24-48 hours before your test you will need to take double the standard dosage of creatine monohydrate. So if you use this method take 15-20 grams daily. Creatine can be mixed with water or any kind of juice / shake of your liking. This method is somewhat outdated due to advances in drug testing. If you are going to give it a try you will need to drink 2-3 gallons of water per day for 2 days before your test, and take 15-20 grams of creatine daily. On the test day drink one gallon of water 1 hr before your test with 15 grams of creatine. Rumor has it this will make your urine appear normal in regards to creatinine levels. Gatorade and creatine together will do nothing extra or special. Water will be just as good and is a lot less expensive. Gatorade mixed with creatine is just another invalid internet myth. Creatine is sold online (Amazon) and at every GNC, Walmart, Kroger, Publix and other sports nutrition stores. 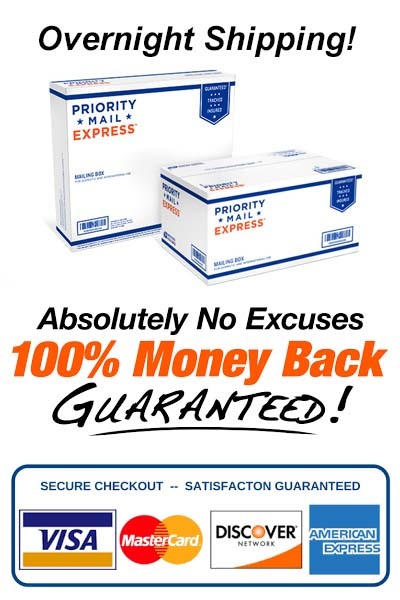 Expect to pay between $15 – $20 for a large container of creatine powder. This amount will be all you need if you use the creatine detox. Since the creatine detox is basically a dilution method your urine will be very clear when you give your urine sample. This will throw a red flag and the lab test administrator will become suspicious. Taking a B2 or B12 multivitamin 2hrs before your screen is highly recommend. Taking a 100mg of a b-complex vitamin will give your urine a natural yellow color and will look normal. What Is A Better Way To Pass Guaranteed? It is a 7 day weed cleanse that was designed to flush THC out effectively and permanently. It is not a miracle overnight fix. 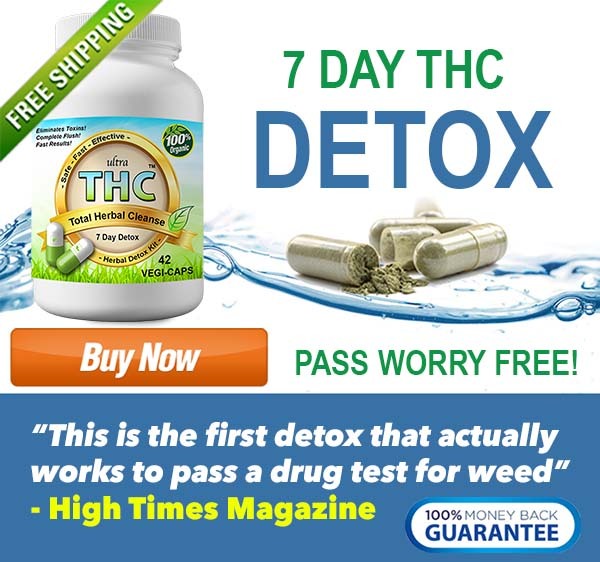 Ultra THC Detox™ works naturally in one week.